Increase global awareness of reef degradation and possible solutions by extensive promotion in the media. 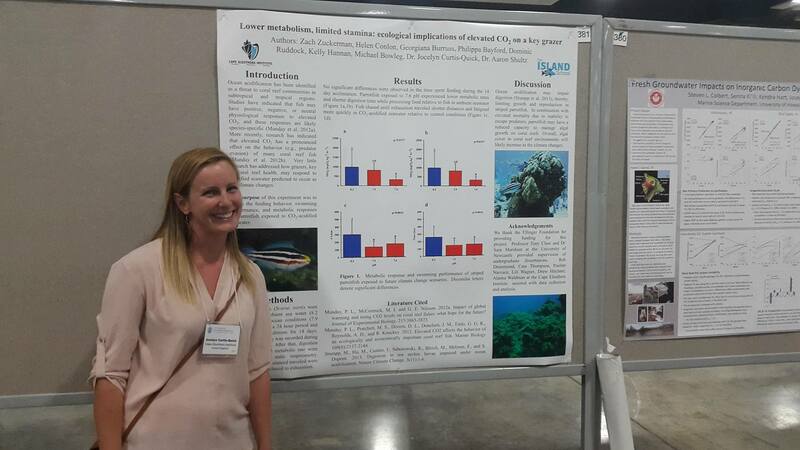 Dr Jocelyn Curtis-Quick wrapped up her time with CEI by presenting on the lionfish feeding studies and the summary of the 5-year culling program along with a collaborative project with Zach Zuckerman and Dr Aaron Shultz on the impacts of CO2 on the grazing and metabolic rates of parrotfish. Jocelyn was not alone – many researchers that conducted fieldwork at CEI, CEI intern alumni and ex-Island School faculty were also in attendance! Dr Jill Harris (Island School faculty 05) recently completed her PhD in marine biology at Scripps Institution of Oceanography, where she was happy to keep running into Island School student and faculty alums. Now she works for the World Wildlife Fund in Washington, DC, studying how to make MPAs more effective and presented on this work at the symposium. Jill’s job is mostly about scuba diving and statistics, just like at The Island School! ICRS was attended by a number of the Island School community. Dr Curtis-Quick met Island School faculty alums Jill Harris and Kim Falinski along with numerous CEI visiting researchers and CEI intern alum Jason Selwyn. Dr Kim Falinski (Island School faculty 06) began an MSc in Agricultural Engineering at Cornell University, specializing in recirculating aquaculture systems after leaving The Island School. Kim’s thesis brought her to Waimanalo, HI, to work at Oceanic Institute on scaling up microalgae production for copepod feed. Kim then worked as a professor at the local community college before starting her PhD at the University of Hawaii at Manoa. Kim’s specialty is land based source pollutants – sediments from poor land management practices and nutrients from wastewater and inorganic fertilizers. 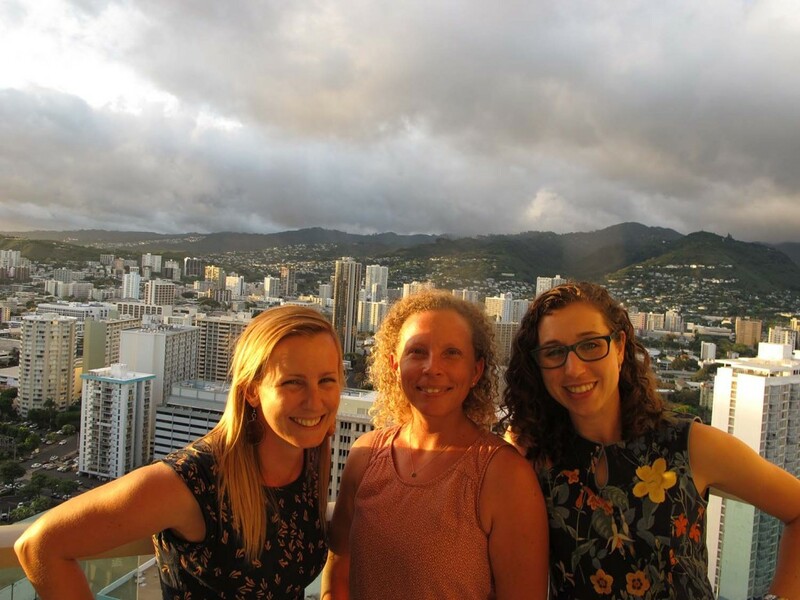 Today Kim works at The Nature Conservancy in Honolulu as a water quality scientist on the Marine team, which she presented on at ICRS. In her free time free time, Kim races big sail boats and run triathlons. “The Island School most certainly sent me on this path” says Kim. The symposium covered an array of topics including coral reefs and climate change, cutting edge technology in coral science, community-based management, coastal pollution and the role of Marine Protected Areas. The main goal of the symposium wasbridging science to policy to inform and increase the effectiveness ofcoral reef conservation worldwide. The week was huge success – we all look forward to the next meeting in 4 years’ time.